Something new today. A suite that I haven't played with yet. The Moroccan Suite. This was a suite that I just had to have as soon as I saw it, but I held back. Even though I loved it, I wasn't quite sure if I could showcase it properly. But I caved and bought it recently. After all, how are you going to see it if I don't show it to you. 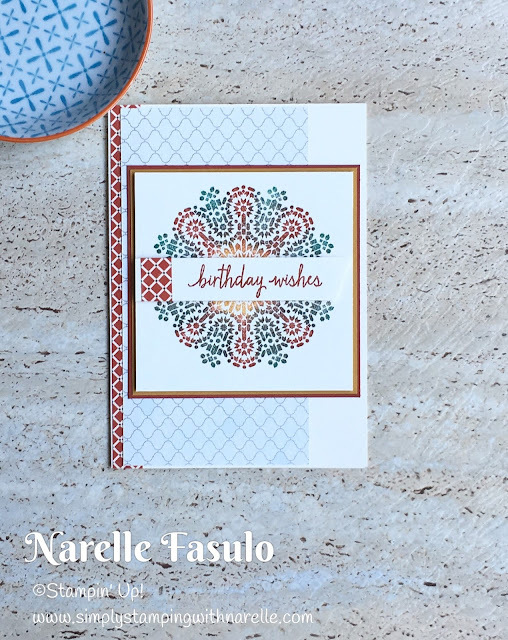 Here is the first card I made with it. A simple card, but quite effective. I coloured the large stamp using sponge daubers as I wanted it to have a variegated look to it. I think it turned out quite well. I just used a subtle paper in the background and added some washi tape as a highlight down the side and on the sentiment tag. 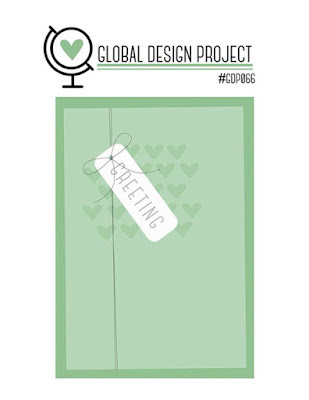 The layout of the card was inspired by the current sketch challenge over at the Global Design Project. 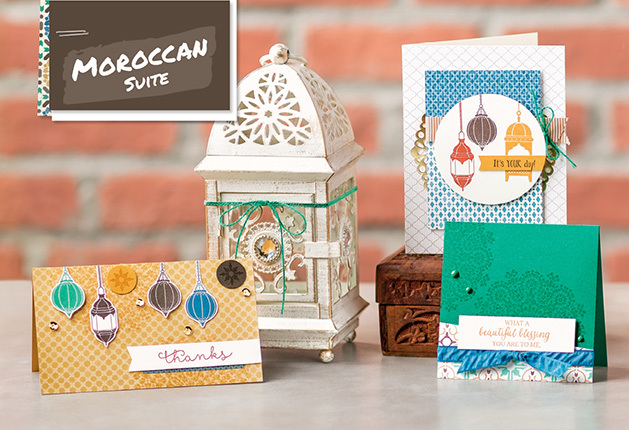 If you haven't seen the Moroccan suite yet, then here it is. I have seen some amazing things made with this suite. I will have more samples soon using it too.